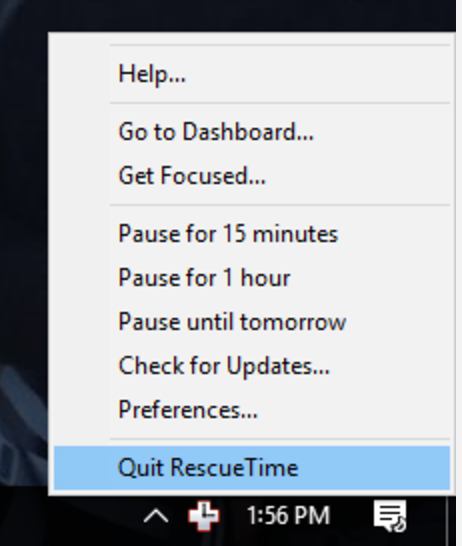 The Help window is opened by clicking on the RescueTime icon in your system tray or menu bar and selecting Help from the menu options. 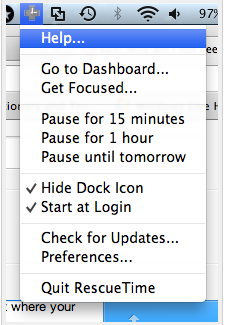 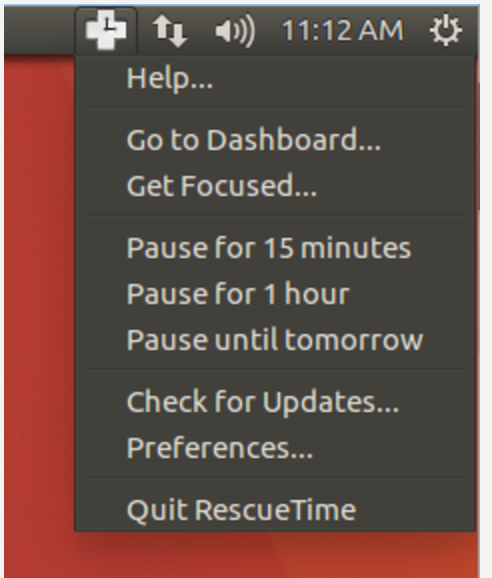 Once you click Help the "RescueTime Help" window will open. 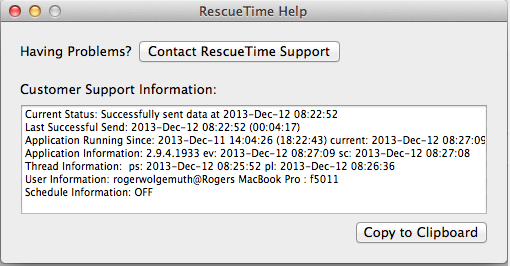 Select Copy to Clipboard and send the information to us by including it in your support request.